This summer, Major League Baseball and 14 of its affiliated clubs partnered with digital learning company EverFi to create the Summer Slugger program. 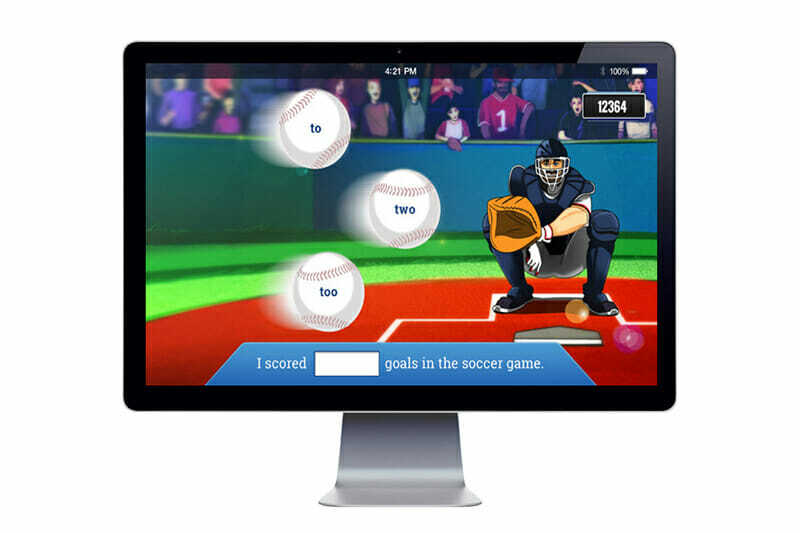 This digital multimedia course, targeted at fourth and fifth graders, is education cleverly disguised as a baseball-themed computer game. First launched in May, the program is designed to combat “summer slide,” a phenomenon that causes children, particularly at the elementary school level, to lose months of academic achievement while school is out. The 18-week course is available free to elementary schools and will help kids keep their math and reading skills sharp for the start of the school year. Picture a baseball game, and you’re playing as the pitcher. You want to strike out the batter — but in order to get your pitch up to speed, you’ll first need to answer a math question or solve an equation. Answer correctly, and you’ll pitch a 90-mile-an-hour fastball right past the batter. That’s the concept behind one of the 36 games in the Summer Slugger program. Other games include “Word Catcher,” a game that shows an animated catcher in a crouch with glove outstretched. Multiple baseballs fly through the air towards the catcher, with a word written on each one. Most of the words are spelled incorrectly or don’t make sense in context; players have to choose the word that best completes the sentence before the ball reaches the catcher’s glove, with extra points awarded for speed. These games are available on mobile platforms including smartphones and tablets, making it easy for students to polish up their reading and math skills while they’re out of classrooms for the summer. New activities are unlocked at regular intervals, and rewards are earned for consistency in keeping up with the program throughout the summer. The Summer Slugger program recently debuted at Atherton Elementary School in Arlington, Texas with considerable pomp and circumstance, thanks to a special appearance by Texas Ranger Nick Martinez. The Rangers pitcher visited the elementary school to introduce the program to the school’s fifth graders. The program addresses a long-standing problem in elementary schools. The “summer slide” phenomenon, as it’s known, is especially prominent in lower-income students, who may easily lose two months of reading achievement during the summer. “What happens is sometimes when they’re not in school, all those skills that maybe they’ve acquired during the year, they end up losing a lot of it,” said Nidia Zaravar, Atherton Elementary School principal. “It’s on a digital platform, and the students are all for that — it’s just an entertaining way for students to keep sharp and review those math skills and those literacy skills over the summer,” Zaravar said. As a result, it’s common for teachers to spend six weeks or more at the beginning of every school year simply making up for lost time and re-teaching material that was covered during the previous year. Interactive games like the Summer Slugger program provide an innovative way to aid students in retaining skills that they’ll need for academic success. Education technology company EverFi was a natural choice to head the development of the Summer Slugger program. The company provides digital learning solutions for a wide range of applications. EverFi’s programs teach K-12 subjects as well as courses for higher education, workplace compliance, financial literacy, and corporate responsibility. Altogether, EverFi’s reach includes over 16 million learners across the United States and Canada. Other K-12 programs available through EverFi include Ignition — Digital Literacy, aimed at grades 6 through 8; Radius — STEM Career Readiness, aimed at grades 8 through 10; and FutureSmart, a consumer education program aimed at grades 6 through 8.